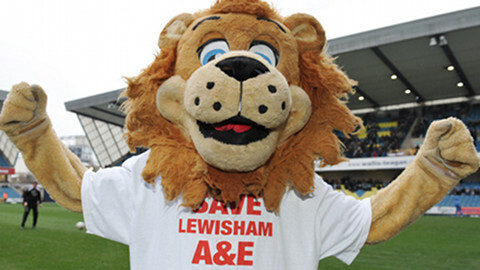 Millwall Football Club have joined the fight to help save Lewisham A&E. The Lions have decided to move Saturday’s FA Cup Fourth Round tie against Aston Villa to Friday night to avoid clashing with the Save the A&E demonstration on Saturday. Millwall staff and Zampa the Lion will be in attendance at the demonstration and the club are hopeful that ‘people power’ will prevail and Secretary of State Jeremy Hunt will recognise how damaging the closures will be in this area. 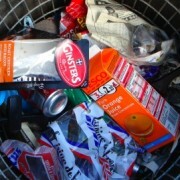 The club say that whilst changing the date of the cup tie is an inconvenience they believe there is a bigger picture. They go onto explain in a statement issued on their website: “Millwall Football Club, our players, staff and many thousands of fans have, over the years, had reason to be grateful for the resources, facilities and care we have received from our local hospital. Support has come from all tiers of the club and Millwall Chief Executive Andy Ambler told East London Lines: “The campaign is very close to our hearts here at Millwall on two fronts. Firstly, as a club we have had reason to use the facilities at Lewisham A&E on a number of occasions. It is the closest A&E department to our training ground and Youth Academy. 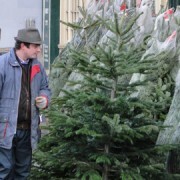 “The care and quality has always been of the highest order. If the hospital closed, it would mean additional journey time of around half an hour – which could be critical when dealing with serious injury. 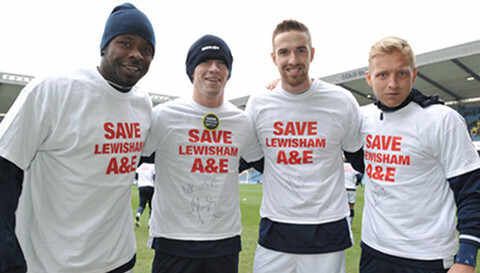 In a further show of solidarity the players donned ‘Save Lewisham A&E’ t-shirts over their club strip during a warm up ahead of their Championship home tie against Burnley on Saturday. The club anticipates that players will again be wearing the shirts on Friday. Hospital staff and campaign supporters were also allowed to hand out leaflets and collect signatures at Millwall home ground, The Den, for a petition to persuade Mr Hunt to reverse the decision to close the hospitals A&E and Maternity services. The team’s physio Bobby Bacic is also backing the campaign and said this is a matter that doesn’t affect just the football club, but the local community too. He highlighted that we all attend A&E departments at some point: “A&E departments are something that accompany us throughout our lives. As kids, we needed them when we fell off our bikes and then in our late teens and 20s when we maybe had an ‘eventful’ night out. He praised the care Lewisham A&E provided and agreed with Andy Ambler that the closure would have a significant affect on treating players injuries. “Some of the best and most important care we’ve had in the five years I’ve been at the club has been at Lewisham A&E. “We never hesitate to go there for the high standard and quality of care. Millwall club captain Paul Robinson added: “Personally I have had a few bumps and bruises during my Millwall career and fully appreciate the value of Lewisham A&E. “More than that, along with some of the lads, I have visited the hospital every Christmas for the last ten years and got to know the staff and see the great work they do. In his final report on January 8 after a 30 working day public consultation, Matthew Kershaw, South London Healthcare Trust Special Administrator recommended the closure of Lewisham A&E. The future of the department depends on Mr Hunt’s final decision, due to be made on February 1. 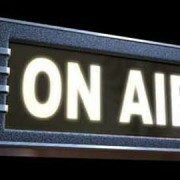 Eastlondonlines will be liveblogging the ‘Save Lewisham A&E’ protest at midday this Saturday.